There is a myriad of flooring options available; let Milton Constructions in Massachusetts help you choose the one that is best for you. Whether you are looking to replace existing flooring that is damaged, or you are just wanting to modernize your home, new flooring can drastically change the appearance of any room. There are multiple options to choose from: carpeting, hardwood flooring, laminate flooring, vinyl tiles or flooring, ceramic tiles. No matter what your preference, nothing improves the overall appearance of a room more than exchanging outdated flooring for a fresh new look. We can assist you in choosing and installing flooring for just one room or throughout your whole home. Custom flooring offers you a wide variety of design options. When laying ceramic tiles, there are many options that can greatly vary the overall effect. Some common design ideas include laying the tiles in a diamond pattern, or using a complementary tile as a border around the edge of the floor, creating additional depth and style. Getting rid of old, musty carpet can vastly improve the air quality in your home. If you or your family suffers from allergies, removing carpeting can greatly reduce your symptoms. The addition of small throw rugs or large area rugs makes a home feel a lot cozier. 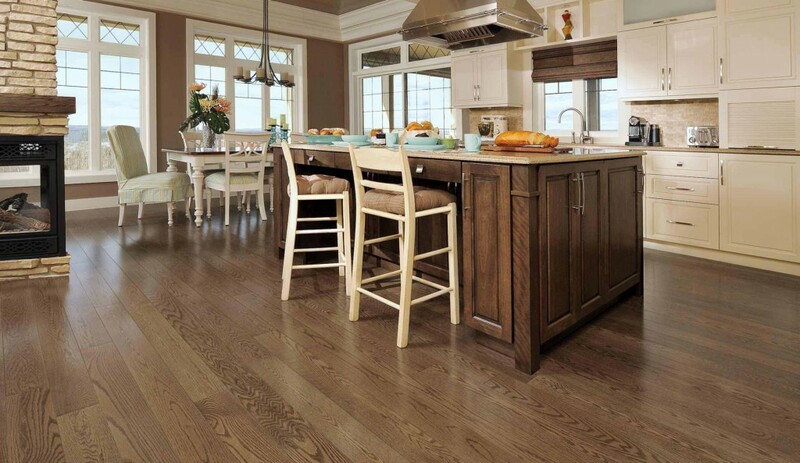 Hardwood flooring is the newest trend, and it can really modernize your home and make it seem much larger. There is a variety of options to choose from, including cheaper laminate flooring that imitates natural wood and more realistic, natural wood planks. There is also a wide range of colors and stains: light pinewood, cherry finish, a darker chestnut and many more. If you prefer a more extravagant decor, then the addition of marble or granite flooring can help you achieve a more distinguished appearance. Whatever design elements you are looking to incorporate, Milton Constructions in Massachusetts will be happy to assist you with your custom flooring needs.